Having seizures in public can be an embarrassing and also scary experience. Whilst having a seizure, you may not be aware of what is going on, or even remember the seizure so you can become very vulnerable. 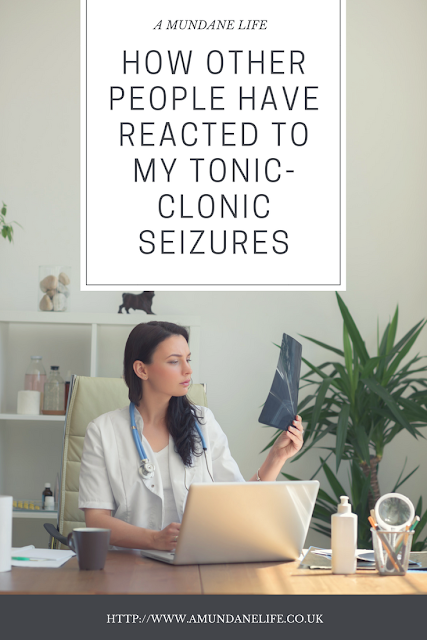 I'm lucky that I haven't had a seizure when I am completely alone, but I do have some bad experiences to share with you, and how I think that people could be better educated when it comes to the best way to respond and deal with a seizure. I'm going to share two experiences with you where other people haven't understood what epilepsy is, and what you should do during a seizure. This post is written from a personal prospective and may not be the same experience other people have had. Please note that I'm talking about experiences I have been through myself and everyone has a different experience. Before I stopped going to bars and nightclubs regularly, I had a number of seizures whilst out with my university friends. One night I was dancing with my friends, with a drink in my hand, and the next I was inside an ambulance. My friend told me that one minute I was standing next to him, then the next I simply leant on him, told him I was going to have a seizure then fell on the ground. 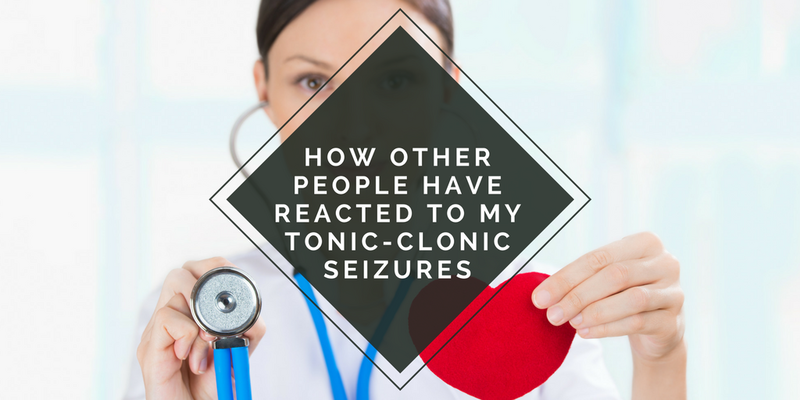 What followed (according to witnesses, remember I don't know what is going on during a seizure) was a flurry of people coming to help control my seizure and protect me. Of course, they didn't really know what they were doing, and this resulted in someone forcefully holding my head, which gave me fingerprint bruises all over my head, and sitting on me. My friends tried to move people away, but one guy in particular claimed he was a nurse so tried to take over. Considering he was a nurse, the drink had obviously stopped him knowing what to do when someone is having an epileptic seizure as he stuck his fingers in my mouth (to stop me swallowing my tongue). This resulted in me biting his fingers and cutting him. I remember that whilst I was in the ambulance, he was outside complaining that I had bitten him and he wanted to report me to the police for assault. Of course the paramedics pretty much laughed in his face at this request. I couldn't have assaulted him during a seizure as I was unconscious! I always tell employers about my epilepsy in interviews so they know before I even start working for them. I even provide print outs for what to do if I have a seizure. Many work places have said they have people trained in first aid, but this doesn't really cover seizures and what to do. One time I arrived at work and felt a bit funny. I get an aura, or a warning before a seizure so I went and told someone and they helped put something soft under my head to protect me. When I came around, after a paramedic injecting Diazepam to help bring me out of the seizure, I will still on the floor of my work place. The paramedic told me that I had had 5 seizures in a row which had lasted in total nearly half an hour. It took 40 minutes for me to come around after the seizure and understand where I was. Of course she said I needed to go to the hospital to get checked over due to the length of my seizures and because I had not come around between the seizures. I waited for them to get the bed to take my into the ambulance and gathered my belongings. I still wasn't completely with it and I was so exhausted I could barely stay awake. The next thing I heard was "Do you need us to come with her as we are very busy and need to get back to work". That's right, my colleagues and employer didn't want to come with me to the hospital, and instead wanted to send me completely alone. I ended up at a hospital I had never been to before, alone and with no cash or idea how to get home. Once I had been checked over and discharged I then had to navigate back home by taking multiple buses. This is when I stopped working for a while, I knew that I couldn't trust other people to follow instructions or even learn enough about my epilepsy to ensure my safety. I felt very alone. - Make it compulsory for school students and teaches to watch instructional videos about how to act when someone has a seizure. Putting up posters can also show people what to do in the event of a seizure. This is also true with things like allergic reactions and diabetes where you require immediate medical attention. 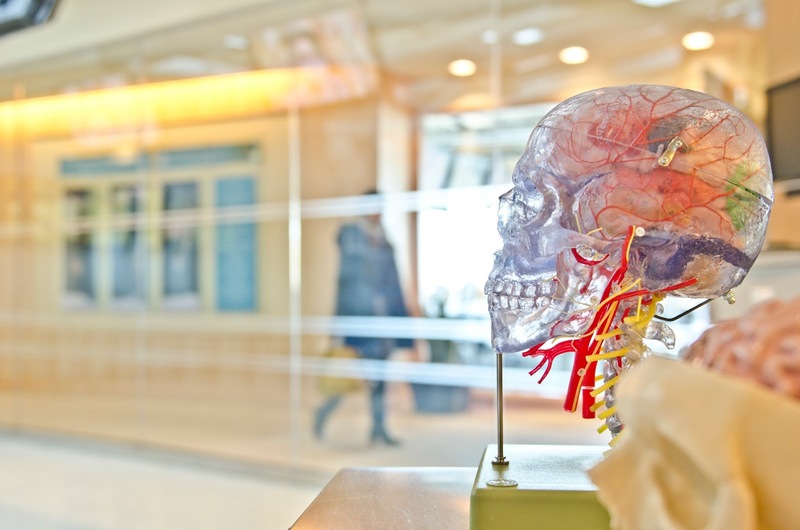 - Make training compulsory in the work place, especially if someone within the work place has seizures, or is at risk of having them. The whole team should know what steps need to be taken during a seizure. Also there should be a write up of exactly what the person can and can't do. I've had situations where they don't believe that I can't go near hot ovens, or that I can't be left alone with sharp machinery. I've actually been left alone plenty of times and if I had a seizure it could have ended very badly for me. - Make people more aware of different transport solutions that are available. Even as someone who has epilepsy I am not aware of the help that I can get. Especially if I was alone and was unable to travel by public transport. Companies like Allied Fleet are really helpful and a necessity for accessibility not only with those epilepsy, but also other conditions. - Have safe places for people to go if they do get a warning about their seizures. It's not nice to have one on a concrete floor and it leads to lots of injuries. If there was someone I could go to recover from a seizure too in large shopping centres etc this would be amazing. People don't really know that after a seizure it can take a long time to recover, or be back to your normal self, so having someone to relax would be amazing. Also because you can urinate during a seizure it can be very embarrassing, so if there was someone you could go to have some privacy this would also make the whole situation better. THIS IS A COLLABORATIVE POST WITH ALLIED FLEET. ALL OF THE EXPERIENCE ABOVE ARE MY OWN PERSONAL EXPERIENCES AND DO NOT REFLECT ANYONE ELSES EXPERIENCES. THIS WEBSITE USES AFFILIATE LINKS. FOR MORE INFORMATION, PLEASE READ MY DISCLOSURE POLICY. This is scary stuff. I was diagnosed with epilepsy last summer. I have complex partial seizures, so I don't usually lose consciousness or have convulsions, but I do go into some really messed up confusion and it often comes with extreme panic or emotion. The thought of having them in public is terrifying, and it's enough to make you want to lock yourself in the house and not go out.